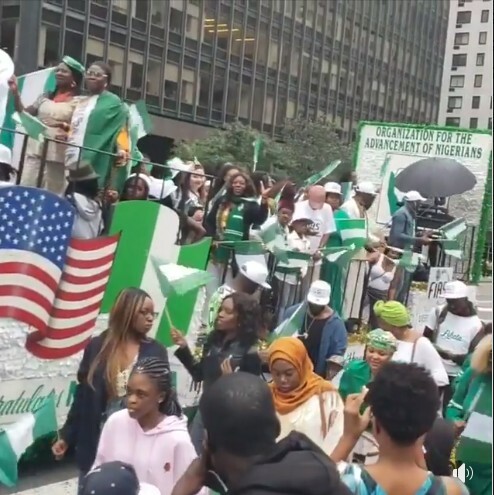 Nigerians in the color and glamour, took over the streets of New York on Saturday (yesterday) with excitement and joy to celebrate the country’s 58th independence anniversary with parade and carnival. The U.S. city was painted with green-white-green insignia as Nigerians from all walks of life united for the country. 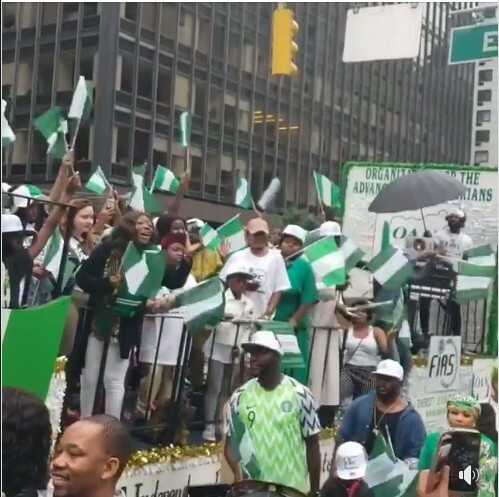 The parade, which started on Second Avenue on 54th Street in Manhattan, ended at the Nigerian House on 44th Street. This was followed by the Independence Day Festival at Dag Hammarskjold Plaza, near the United Nations Headquarters. Known as the largest celebration of Nigeria not happening in the homeland, the 27th annual Nigerian Independence Day Parade celebrates the very best of Nigeria’s food, culture, music and people. The festival is also Africa’s largest Parade in the U.S., and showcases Nigeria’s unique culture and promotes the positive image of Nigeria to the rest of the world.